The AW11 Toyota MR2 offers a fantastic combination of mid-engine handling, manual gearbox, and Japanese wedge 80s wedge styling to make it a car that is much cooler than you'd expect given the performance numbers and asking price. 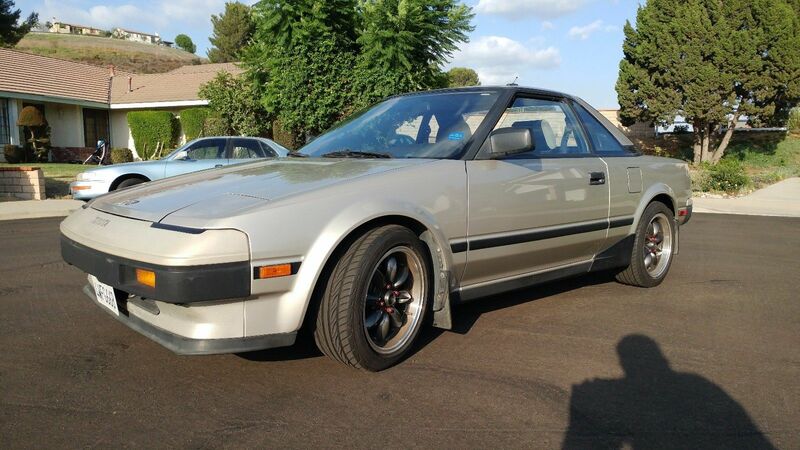 Find this 1985 Toyota MR2 here on eBay bidding for $1481 reserve-not-met with $4000 buy-it-now located in Walnut, CA with 1 day to go. 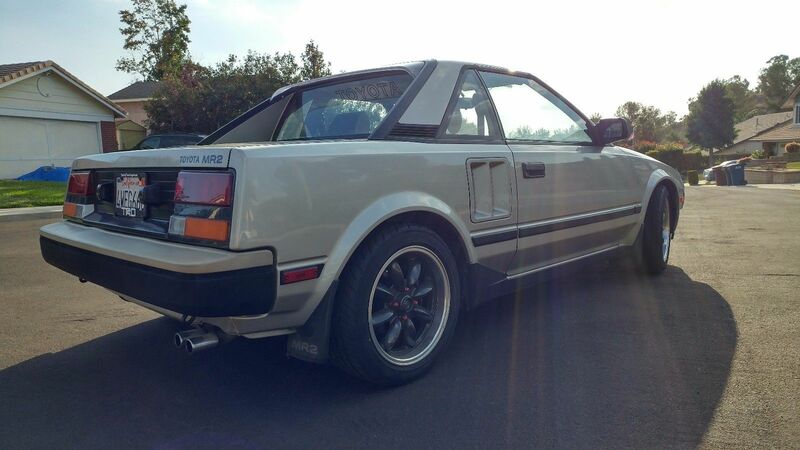 Seller submission from Rod S.
Up for your consideration is a beautiful 1985 AW-11 Toyota MR2. It is an excellent driver level example finished in original light beige metallic. Paint is in good shape with light dings and small scratches commensurate with its 32 years. The car has been clearly cared for and meticulously maintained. I have service and repair records going back to 1992. Under my ownership, I have completed regular maintenance, installed spark plugs and timing belt, and replaced the clutch master cylinder. 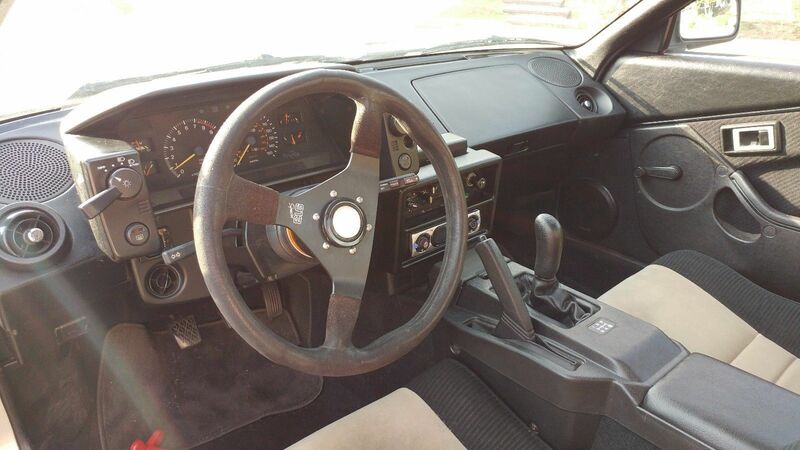 Interior is completely stock except for a Sony stereo system and CD player. Understated modifications include 15" period correct Rota RB wheels (could not source Watanabes at a reasonable price) and Eibach lowering springs. Tires are Yokohama S-Drives. The car was aligned after lowering and does not show excess tire wear. Clutch feel is great. Handling is very tight and belies the car's age. Interior is in excellent shape! No tears in the seats or door trim. The rubber trim in the exterior is original and shows some fading, but crucially no cracking. Gauges all work. No warning lights. Car has just passed smog for CA buyers. I have driven her only 3,000 miles in 5 years. I am only selling because I don't drive her anymore and want her to go to an enthusiast to enjoy as much as I have. Few cars provide this level of involvement and feel for such a low price! I am that confident her next caretaker may even make money as prices for 80's Japanese classics are on the rise! The stock triangle wheels and two car covers will go with the car. The only thing I am keeping is the Momo wheel. The stock steering wheel will be installed for the winning bidder. The car drips one or two drops of oil when sitting for a week. This lessens considerably when being driven every day or every other day. View a quick walkaround on Youtube. Search 1985 AW11 Mr2 Walkaround, posted on Sept 22. This is a relisting. Please be sure to have source of funds ready prior to bidding. Deposit is NON-refundable (and therefore reasonably set) and due within 48 hours of winning bid. Full payment due in one week but I am flexible and am glad to work with buyers. I am open to shipper of choice at buyer's cost, or am happy to recommend transporters that have done great by me in the past. Thank you for watching and bidding. Please feel free to ask questions! Looks incredibly clean, you don't see them like this very often! For future readers wondering where this auction ended: $2,422.00 with 24 bids, not meeting reserve presumably the $3,900 Buy It Now price. I will probably relist lower! =) Thanks for the comments, all. Love these w/o that rear spoiler. Haven't seen very many in real life, though. I still miss my '86. Loved that car; not even the NA Miata that I bought after it had as good of steering feedback, IMO. @Fueltruck, judging from lack of interest, I'll just hold on until spring driving season starts up again! 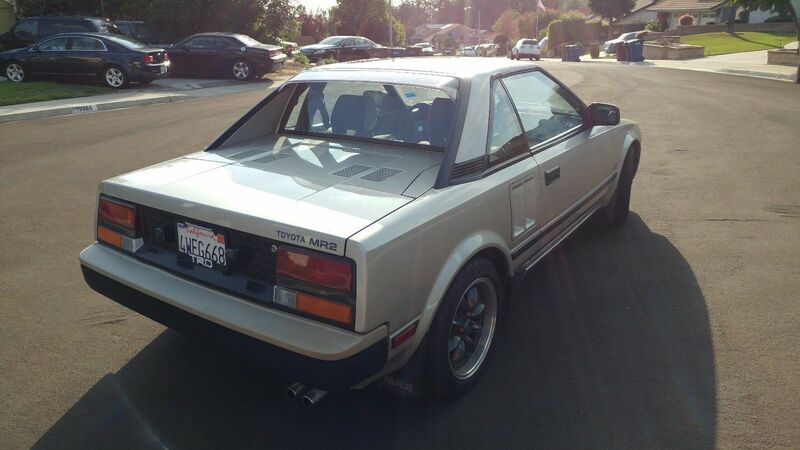 Will bring the AW11 to Jalopnik's Radwood2 and enjoy another couple seasons of SoCal MR2 driving.